Former Getty Director Michael Brand Heads to Aga Khan Museum - 2010-08-23 | Ismaili.NET - Heritage F.I.E.L.D. TORONTO. 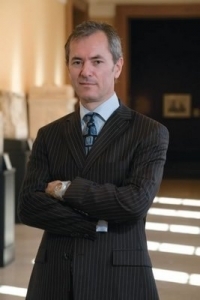 Michael Brand, the former J. Paul Getty Museum director who stepped down at the Los Angeles institution earlier this year, has been appointed to a consultancy post at the Aga Khan Development Network. The position places Brand — an expert in Asian art — in line to assume the directorship of the Islamic art and culture museum when it opens in a Fumihiko Maki-designed building in 2013.